The Chief Fire Officers Association and fire services across the country are supporting Ageing Safely Week which commences at the end of September. The risk of dying in a fire for those aged 65 and over is more than twice as high as the average risk for all ages. Across the country fire and rescue services identify those who are most at risk in their community and undertake targeted prevention and protection activities. 23% of the UK will be aged 65 and over by 2035, therefore older people will increasingly be the focus of preventative fire safety. 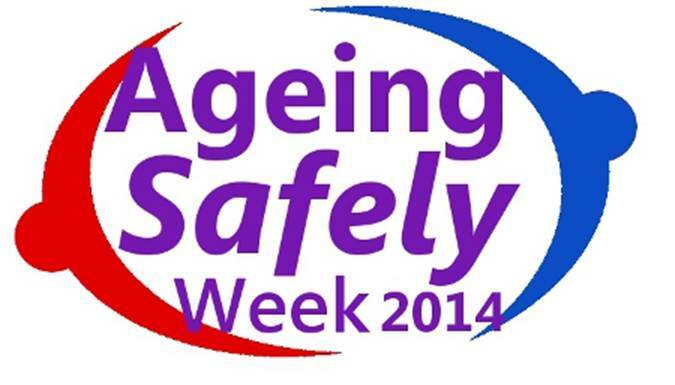 The Ageing Safely Week, which runs from 29th September to 5th October, provides a platform for fire services to run initiatives and events that focus on such aspects of fire safety as getting chimneys swept, the safe use of electrical heaters and cooking safely. Safelincs have a number of products that are particularly suited to maintaining the safety of senior members of the community. These include radio-interlinked smoke alarms, connected through radio frequency signals, which ensure a fire alarm is heard throughout an entire residence. Smoke alarms for the deaf and hard of hearing feature high-intensity strobe lights and vibration pads to wake the deaf person during the night if there is a fire alarm. We also have portable deaf alarm systems. Innohome stove alarms provide reliable fire protection for the area of the home where elderly people are particularly vulnerable. A loud alarm is activated if the cooker becomes too hot or when an empty hotplate is left on, warning of a hazardous situation before toxic gases are produced or a fire starts. Many homes now have a fire extinguisher and, whilst the fire service advice is to evacuate immediately, most people can prevent a small fire getting out of control. We would recommend a one litre water mist extinguisher which can be used on any type of household fire. This appliance utilises relatively recent technology that smothers a fire using microscopic ‘dry’ water particles. It works even on deep fat fryer fires and is safe to use on electrical fires. Every home should have a carbon monoxide detector. 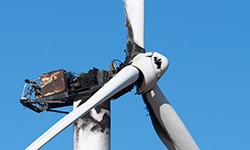 There is a range of both battery and mains powered products that will give an early warning of the presence of this deadly gas. In the middle of Ageing Safely Week, UK Older People’s Day takes place and the aim is to create some synergy between the two campaigns. Held on the 1st October, the same day as the International Day of Older Persons, it is a celebration of the achievements and contributions that older people make to our society and the economy. Its objective is to challenge negative attitudes and outdated stereotypes. Esther Rantzen CBE, founder of The Silver Line helpline, is also supporting the Ageing Safely campaign. “Older people are more at risk from fires in their homes than any other sector of the population. The majority of those over 75 live on their own, and loneliness erodes confidence so seriously that it can lead them to neglect themselves, and put themselves in danger,” she says.